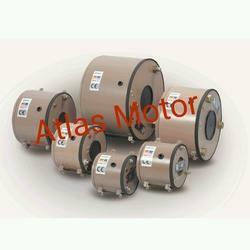 We are a Leading Manufacturer, Exporter and Supplier of Three Phase Motor, Single Phase Motor, Torque Motor, Vibrating Motor, Crane And Hoist Duty Motor, Lift Duty Motor, Cooling Tower Motor, Two Speed Motor, Single Phase Brake Motor, Brake Motor, Worm Gear Motor, Helical Gear Motor, Planetary Gear Motor, Bench Grinder Machine, Bench Polisher Machine, Flexible Shaft Grinder Machine, Variable Frequency Derive, Ip 68 Motor, Dual Voltage, Cut Section Ac Motor, Gear Shaft, H Class Motor, Extend Shaft, Hollow Shaft Motor, Encoder Mounted Motor, Hollow Shaft Brake Motor, Center Flange Vibrating Motor, Geared Brake Motor, Dabble Flange Motor, Two Speed Gear Motor, Two Speed Geared Brake Motor, Fail safe Brake, Two Speed Vibrating Motor, Force Cooling Motor Coolant Pumps etc. 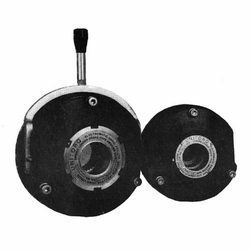 Our organization is widely acknowledged in this domain for offering an extensive array of Three Phase AC Fail Safe Brakes to our respected customer. The products we are offering is widely used in various commercial and industrial applications. These products are widely demanded for their highly developed performance, dimensional accuracy and abrasion and corrosion resistance. Our Fail safe brake compact and modern in design. Directly mounted at non-driving end shaft of the motor. It consists of liner plates Brake Disc with square hole at the center. One corresponding piece of square hub is supplied with the brake. This hub is keyed to the motor shaft and the liner plate is free on this hub. Normally liner plate is gripped between two discs with the help of spring pressure. 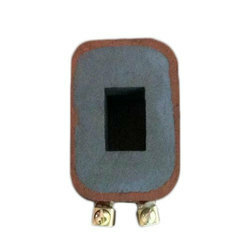 They work on A.C. Supply when the current is supplied on the brake, one disc is attracted by electromagnet against pressure and the liner plate is released. Thus the brakes are “off”. Once the brake is set it does not require adjustment or maintenance. When the liner plates wear with the use then only air gap is required to be maintained periodically. An arrangement to release the brake manually could be provided on request. Our Fail safe brake Torque Range 0.2 KGM to 30 KGM it Suitable to 0.1 hp to 20 Hp. A c Disc Brakes Diameter 130 M.M. to 310 M.M. We are Manufacture fail safe Brake in 415,380 and 230 VAC. Fail Safe Brake Coil are Made by “F” Class high Quality enamel copper wire. For Longer Operation prevent temperate. Used in Machine Tools, Hydro Extractors, Coil winding Machines, Wire Drawing Machines, Rubber Mixing Mills, Rolling Mills, Printing Machines and in many other industries such as a Cement, Mining, Sugar, Textile, Material Handling etc..In case of power failure in machines like Hoists, Cranes, Winches, Elevators, etc.. Application of brake is must. We offer AC type brakes, called fail safe brake, as in case of power failure, these brakes apply mechanically. 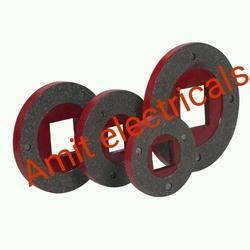 Amit electrcials manufacture supplier and exporter Fail Safe Brake Coil. Our vast knowledge and rich experience in this domain enabled us to provide a wide assortment of Fail Safe Brake Coil to our esteemed clients. These products are manufactured under the assistance of highly skilled professionals using optimum quality raw material that is sourced from trusted vendors of the market, as per the industry defined norms. In order to meet diverse requirements of our esteemed clients, it is strictly tested by best quality controllers on numerous quality parameters. Amit Electricals Manufacture, supplier and exporter of Fail Safe Brake Liner. Enriched with rich industrial experience, we are involved in offering a qualitative range of Fail Safe Brake Liner in the market. These products are developed and designed as per global industrial standards and widely recommended by a numbers of clients owing to its rough and tough usage and sturdiness, our offered products are widely demanded and appreciated by a large number of clients owing to its robustness and optimum performance. Used in Machine tools, Hydro Extractors, Coil Winding Machines, Wire Drawing Machines, Rubber Mixing Mills, Rolling Mills, Printing machines and in many other industries such as a Cement Mining, Sugar, Textile, Material Handling etc. In case of power failure in machines like Hoists, Cranes, Winches, Elevators, etc. application of Brake is a must. We offer AC type brakes, called fail safe brake, as in case of power failure, these brakes apply mechanically. Backed by enormous industrial understanding, we are immersed in offering an extensive range of Fail Safe Brake to our valued clients. These products are developed and designed as per worldwide industrial norms and broadly demanded by numerous numbers of clients due to its rough and tough usage and robustness. Our offered products are extensively required by a huge number of clients owing to its sturdiness and best performance. Used in Machine Tools, Hydro Extractors, Coil winding Machines, Wire Drawing Machines, Rubber Mixing Mills, Rolling Mills, Printing Machines and in many other industries such as a Cement, Mining, Sugar, Textile, Material Handling etc..In case of power failure in machines like Hoists, Crane, Winches, Elevators, etc.. Application of brake is must. We offer AC type brakes, called fail safe brake, as in case of power failure, these brakes apply mechanically. Looking for Fail Safe Brake ?